As a resident in Rockford, IL and the surrounding areas families are seeking dental care. 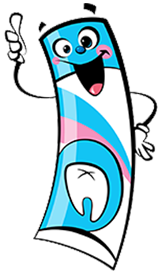 Dr. Zak and his team strive to be your choice and we hope that you choose the Tooth Fairy Castle as your children’s dental home. We understand that there are a lot of great choices for your family’s dental needs. It is our goal as a team to make your children feel at ease and welcomed. Children may be frightened with the thought of having to “go to the dentist.” Dr. Zak built the Tooth Fairy Castle with that in mind. He wanted to welcome children in a fun, safe, and welcoming environment. We often see that children are so at ease and happy to be at “Tooth Fairy Castle”, that they actually do not want to leave. Often times they cry on the way out rather than on the way in because they want to stay and play. Make Your Child’s First Dental Visit an Enjoyable One!